THE GROWTH PERFORMANCE of Papua New Guinea and the status of its public finances improved significantly in the last decade, underpinned largely by the boom in global commodity prices of key PNG exports, and good macroeconomic policies. The national budget, which was in deficit from the late 1990s, recorded its first surplus in 2004, public debt fell from more than 60% of GDP in 2003 to about 25% by 2011, the trade balance recorded large surpluses, and foreign reserves improved. The country also passed several record national budgets due to a tripling of revenue. And yet many suggest, with good reason, that it was a wasted decade. What lessons can PNG learn in terms of its experience with rapid revenue growth moving forward? With the large increase in revenue in the last decade, the government did several things. First, the government increased its expenditure. Both the recurrent and development budgets expanded, almost doubling over the last 10 years, an increase of just over K4 billion, after adjusting for inflation. Projections for the next few years show a small fall in public spending in 2013, and increases for both total revenue and expenditure thereafter. Second, the government used the increased revenue to fix its fiscal balance which was in deficit before the turn of the decade. Under the guidance of the 2002-2007 Medium Term Fiscal Strategy, the government aimed for a balanced budget by 2008 and in the medium term. Third, the government also used the large revenue increase, and surpluses in the boom years, to retire its burgeoning public debt, as well as its liabilities to domestic financial institutions. Despite the improved fiscal condition and the increase in public expenditure, it seems that the country may have missed the opportunity to turn the rise in national revenue into tangible development to improve the socio-economic conditions especially of its rural population in the last decade. The large rural population of the country have felt little to no impact of the decade-long increase in public expenditure as crucial rural infrastructure such as airstrips, roads and jetties close down, and basic public services such as health and education fail to reach them. The country’s Human Development Index has fallen to 153 out of 187 countries from 132 in 2003. The governments of the last decade must be applauded for their sound macroeconomic management including the improvement in public finances. However, much is needed to improve the quality of public expenditure so that public funds spent through the national budget create tangible development. Although revenue growth will probably be lower for the next few years than has been seen in the past, it is expected to stay positive. In any case, even after inflation, the PNG government already has twice as much revenue to spend now as it did a decade ago. Using the experience of the past decade, it is imperative that the government establishes sound mechanisms not only for macroeconomic management, but also to improve the quality of its public expenditure. PACIFIC CIVIL SOCIETY ORGANISATIONS today published a legal opinion on the application of the precautionary principle to deep sea mining in the Pacific Region. This legal opinion comes at a time when Pacific Islands Forum leaders are meeting in the Cook Islands. “It is clear that we do not know what the impacts of seabed mining will be on our vitally important ocean environment and international law makes clear our responsibility to proceed with unprecedented caution in this area," an NGO spokeswoman said. In a 10-page legal opinion, the Environmental Law Alliance Worldwide concludes that the application of the precautionary principle supports a moratorium on seabed mining until the risks of harm to the marine environment and coastal people are better known and understood. The precautionary principle dictates taking a cautious approach in matters that affect the environment when there is scientific uncertainty about the negative impacts. The principle is widely used in international environmental law and has been applied in the courts in areas such as climate change, hazardous waste, fisheries and sustainable development. "There is a clear obligation on all States to widely apply the principle," says Effrey Dademo, program manager for ACT NOW! In Papua New Guinea. DR ILA TEMU, the spokesperson for mining companies in Papua New Guinea recently raised a series of points in support the former Somare government's decision to allow Nautilus Minerals to destroy the Bismarck Sea and current Mining Minister Byron Chan's decision to maintain the status quo. Dr Temu highlighted that many organizations were misinforming the public about the issue. However, if one takes a look at maps on Nautilus Minerals website, one begins to appreciate the scale of the disaster Nautilus intends to create. It has tenements over vast areas of the Bismarck Sea and the internal waters of Milne Bay Province. Dr Temu claims that since Nautilus Minerals has received government approvals its exploits are sound. One only has to look at government approved projects like Panguna, Ok Tedi, Porgera and Hidden Valley to appreciate that government approvals cannot be trusted. The manner by which the Somare government was willing to amend Environmental Laws in favour of mining companies, also indicates the standards used to give approvals. In any case, what body of scientific knowledge about the territorial waters of PNG has the government used to create the necessary legislative, institutional, policy and regulatory frameworks necessary to approve and regulate seabed mining? Professor Richard Steiner from the University of Alaska Marine Advisory Program reviewed Nautilus Mineral's Environmental Impact Statement. He stated in his concluding remarks that "clearly, the project is not sustainable, as it exploits a relatively finite mineral deposit, lasts only 30 months, contributes a relatively small amount of money to [PNG], severely damages the benthic habitat for a rare deep sea sulfide mound ecosystem and poses risk to other marine resources in the region..."
It would be interesting for the Department of Environment and its former boss Wari Iamo to explain to the people of PNG how they assessed Nautilus Minerals EIS and how they came up with monitoring mechanisms. The recent Tumbi Landslide in the Southern Highlands highlights the risks posed by large extractive industries in terms of creating man-made disasters. Nautilus Minerals will be altering seafloor morphology in an actively tectonic region. Natural undersea tectonic events pose a number of geohazard risks (e.g., the Aitape tsunami) to coastal communities. The Nautilus activities will only add to these risks. Dr Temu also highlighted that any action by the government to stall Nautilus Minerals' Solwara 1 project will increase PNG’s sovereign risk profile. Commenting on the possibility of government intervention, Dr Temu said, “This would also raise concerns in the international investment community of the dangers of sovereign risk." Sovereign risk refers to the credit worthiness of the "sovereign", i.e., the government, and is used as a measure by financial institutions as to whether a country is worth investing in. It is measured using complex mathematics and data but in a nutshell it reflects two main variables: political risks and fiscal risks. KOKODA, AND TO A LESSER EXTENT MILNE BAY, BUNA AND GONA, are battles as familiar to many Australians as Gallipoli. Seventy years ago, Australian soldiers staged a dogged fighting retreat along the Kokoda track while at Milne Bay on the eastern end of New Guinea, Australian and US troops inflicted the first defeat of a Japanese force on land. Over two hellish months, Japanese enclaves at Buna, Gona and Sanananda were eliminated. But there would still be more than two years of bitter fighting in the New Guinea territories until the end of World War II and few know about it. "It's quite forgotten, other than by the veterans who served there," says historian Phillip Bradley, author of a new account of Australia's war in PNG, from Kokoda through to the formal surrender of Japanese troops at Wewak on September 13, 1945. There were many other heroic actions and Bradley nominates one, Kaiapit, in September 1943, as a standout. This followed the fall of the major Japanese-held town of Lae, and Kaiapit, a village 65 kilometres up the Markham Valley had a small airfield desired as a base for future air operations. The 200-strong 2/6th Independent Company, commanded by Captain Gordon King, was given the job of ejecting the Japanese occupiers. Independent companies were modelled on the British commandos and trained to scout and conduct hit-and-run operations behind Japanese lines. King's men were airlifted from Port Moresby to a point 46 kilometres up the valley. They marched cross country, routed the defenders and occupied the village. As dawn approached the next day, so too did a much larger Japanese force - about 500 men intent on retaking and holding it against an Australian advance. King ordered his men to attack, exploiting surprise and his superiority in automatic weaponry. The unit was lavishly equipped with some 100 Owen guns and 20 Bren guns. More than 100 Japanese fell in the first 100 yards and more than 250 by the time it was over mid-morning. Fourteen Australians died, with 23 wounded. Bradley says it was an extraordinary feat, opening the Markham and Ramu Valleys. Had the Japanese been able to establish strong defences, it could easily have delayed the advance for weeks. Australian commander Major General George Vasey arrived at Kaiapit about midday, astonished at the carnage and that he'd sent a single company against such a substantial enemy force. Some months later Vasey told King they had been lucky. King disagreed. "Because I think we weren't lucky, we were just bloody good," he replied. In the Untouched virgin milieu. For what you sow is what you reap. OFFICIALS ON ONE OF EARTH'S most isolated archipelagoes are borrowing four-wheel-drive vehicles from private owners for the motorcade. The impending visit, according to one website, will be the biggest thing since a New Zealand rugby star ran naked from the waterfront. The tiny South Pacific islands and atolls known as the Cook Islands have rarely been more than an afterthought to the world's great powers. Yet in their intensifying contest for influence in the Asian Pacific region, the United States and China are seeing new value in far-flung outposts that until now were coveted more for pearls and sunsets than geostrategic importance. Secretary of State Hillary Rodham Clinton underscored that point on Tuesday by announcing that she will attend an obscure meeting of Pacific Island nations Friday on a palm-fringed Polynesian island that her predecessors never considered worthy of a stop. "This is a strong signal to China that the United States is taking seriously the way [China] is ramping up its interest and engagement in the South Pacific," said Annmaree O'Keeffe, a former Australian diplomat now at the Lowy Institute for International Policy, an independent think tank in Sydney. The US announcement of its intention to attend the Cook Islands meeting quickly raised eyebrows in China. The China Daily, a government-controlled English-language newspaper, said the visit "raises concerns" about growing major-power competition in the region. SINCE PAPUA NEW GUINEA’S INDEPENDENCE in 1975, none of its parliaments have comprised more than 2% of women. Efforts to address traditional attitudes in the country and support women candidates and voters have shown signs of impact, yet the political landscape for women remains a tough one. In an interview with UN Women, two of the three women members of parliament elected in the recent polls detail the challenges they overcame on their respective campaign paths and their aspirations for a level playing field, in and out of the political realm. Governor Julie Soso Akeke is the first woman governor from the Highlands region, well-known for its “big man” or male-centred politics. A former journalist and women’s rights campaigner, she took her seat in a close race, beating out experienced male politicians and businessmen. Minister Loujaya Toni is also a former journalist and has been actively involved in economic empowerment, HIV and AIDS and human rights works. Work among the community, they say, is often a key strength among women and can lend them a competitive edge at the grassroots level, where they believe stereotypes are best addressed. Working through Provincial Women’s Councils and the National Council of Women, with UN Women, UNDP and UNFPA, both MP’s have actively participated in women’s leadership activities and advocacy. Both were also involved with the “Know Your Woman Candidate 2012: Vote Woman” campaign to raise awareness through media of women candidates in Papua New Guinea, supported by UN Women. PAPUA NEW GUINEA IS KEEN TO ENGAGE with other Pacific countries on many issues – including climate change – that have an impact on all countries in the region, says prime minister Peter O’Neill. But the government is also equally keen to engage with development partners, he told journalists in the Cook Islands yesterday. “Coming to the Forum on the back of an election, we also have specific agendas which we took to the elections and need to be addressed at the country level,” he said. He said internal issues included the government giving particular attention to education, health, law and order and fighting corruption within the country. “We also need infrastructure to continue to maintain the growth of our economy and maintaining and ensuring the fiscal economy continues to deliver a better outcome that our country deserves,” he said. O’Neill said some agendas might be too large and considered to be too ambitious at times but his government believed it could deliver over the next five years. “So we came to the Forum keen to engage with all the other countries and development partners in terms of regional trade, security and migrations, he said. He said PNG was also interested in partnerships that would enable labour mobility within the region and he would pursue these over the next few days. YOUTH IN THE QUEENSLAND CITY of Maryborough have given their time and talent to people whom they may never meet. Students from St Mary's College, Maryborough, have joined the "Sew PNG" project overseen by locals Frank and Pat Burkett. So far, students have made 220 shoulder bags and pencil cases for Baga Elementary School and Tufi Primary School in Oro Province. "(The project) has given the students a greater understanding of the poor conditions the students in this remote area face as they seek the key to a better educational future," Frank said. The couple said their endeavours had been "greatly assisted by the staff at Boltons in Maryborough" who have supplied curtain fabric for the bags, along with others. Contents of the shoulder bags are exercise books, a hat, thongs or "crocs" (shoes), clothes and a secondhand school uniform. The pencil case contains "pencils, (pens), erasers, sharpeners ... as well as laminated bookmarks and cards made by the students assisted by parishioner Mariette Wilmink". "The completed shoulder bags were labelled individually with the student's name and grade as gifts from Sew PNG Maryborough," Frank said. The shipment to PNG will also include basic medical supplies for the Tufi medical centre. Pat said: "The students are to be congratulated for their diligence and generous spirit ... (but) thanks hardly seems adequate." THE LITTLE-KNOWN ROLE of the most remarkable Papuan of his generation should be recalled during the commemorations marking the 70th anniversary of the battle of Milne Bay - Japan's first defeat on land in World War II. John Guise, the first Papuan to make a political impact, didn't mind a bit of boasting, especially if it involved cricket and the unbeaten 253 he once smashed which was, and may still be, a record for Milne Bay first grade. When profiled after he became speaker of the House of Assembly in 1968, he didn't want to talk about his war. He did, however, suggest speaking to Ian McDonald, who was then chairman of the territory's Copra Marketing Board. McDonald had been Guise's boss in the Australia New Guinea Administrative Unit (ANGAU), which Guise joined as a signals clerk soon after it was set up in 1942 to provide a skeleton civil administration in the unoccupied parts of PNG. It also had quasi-military responsibilities. On the night of August 25, 1942, the Japanese began their invasion of Milne Bay. Guise was sent, in an open dinghy, through 32km of heavy seas, to tell the bayside villagers to douse their lights. He then safely returned through the ships and landing barges of the advancing Japanese. "The Japs were relying on the village lights to guide their attack," McDonald said. "But John had done his job well. They landed three to four miles (5-6km) off course and this made a big difference to us." After the war Guise, who was born in 1914, went from strength to strength. He was elected to the first House of Assembly in 1964 and became speaker after his re-election. He was a cabinet minister during the self-government period and, at independence in 1975, became PNG's first governor-general. He died in 1991. Michael Somare, with whom he had a testy relationship, is regarded in PNG as the father of the nation. But Guise, 22 years older, was, as the first Papuan to make a political mark, a true pioneer of nationhood. And his exploit 70 years ago in the dark waters of Milne Bay is a reminder of the hugely important role played by civilians in the New Guinea campaigns - the ANGAU officers operating and dying behind enemy lines, the extraordinary coastwatchers, and the thousands of Papua New Guineans recruited, and in some cases press-ganged, as bearers. It was much more than a soldiers' war. THIS IS AN IN-DEPTH, intensely researched, well-illustrated study of the history of the Chinese in Rabaul, from the first arrivals in 1884 to 1960. It is an ambitious and readable account, which should find a place in the library of anyone interested in PNG affairs. There has been a Chinese presence in New Guinea from the very earliest days of the colonial era. The New Guinea Chinese have been mentioned in passing by many writers – including the present reviewer – but there has been only one previous book-length attempt to tell the full story, Dr David Wu’s The Chinese in Papua New Guinea 1889-1980, published in Hong Kong by Chinese University Press in 1982, and not easily obtainable. It is, moreover, a much more specialized account than Dr Cahill’s book, and it has not been unreservedly accepted by all New Guinea Chinese. The book covers the story to 1960. Since that date the Chinese presence in PNG has dramatically increased and this is a trend that will undoubtedly continue, given the scope and scale of mining development in the country. Dr Cahill’s book should assist decision-makers to better understand the mainland Chinese who will be among them in increasing numbers in the years to come. Dr Cahill lived in Rabaul as a schoolboy, and his sympathy for and understanding of the New Guinea Chinese is apparent. Most New Guinea records were destroyed or lost during the Pacific War, and the researching of this account must have been a herculean task. The story unfolds in chronological order, from the cruel beginnings in the era of Neu Guinea Kompagnie in 1885 to the movement of most Rabaul Chinese to Port Moresby and Australia in the years before Independence. The New Guinea Chinese were treated as second-class citizens – both by government and the white majority - for most of their years in New Guinea, and Dr Cahill examines this situation with care and objectivity. There is no doubt that the Chinese – hard-working, frugal, fruitful, pragmatic – achieved a very significant position in the business world of Rabaul (and later, Port Moresby). Some (and notably the early pioneer, Ah Tam) became very wealthy. This commercial success is one reason why there is still resentment of Chinese store owners in PNG, as indeed is the case in many other parts of the world where Chinese have settled and thrived, usually at the expense of local merchants seldom prepared to work as hard as the Chinese. There is also not the slightest doubt that the Australian government treated the Chinese in shameful fashion at the outbreak of the Pacific War. White women and children were evacuated to Australia in the nick of time just before the Japanese invasion, while the Chinese – men, women and children - were mostly left to their own devices. Despite this, there are many instances of New Guinea Chinese helping Australians during the war, often at the risk of their lives. This section of the book will be of particular interest to many readers. Another fascinating section deals with the eventually successful struggle by the Chinese to achieve Australian citizenship. I commend this book to all who have lived and worked in PNG. THE CHIEF EXECUTIVE OFFICER of Nautilus Minerals, Stephen Rogers, says the Canada-based company is committed to an open and transparent approach to its Solwara 1 deep sea mining project in Papua New Guinea. In the world’s first major deep sea mining operation, Nautilus has a 20-year license to mine the Bismarck Sea for copper and gold. Nautilus faces strong local opposition to the project, with environmentalists warning that too much is unknown about the impacts for it to proceed. But Mr Roberts said he’s confident the project’s closed system of mineral extraction will minimise damage in surface waters from mining the seabed. “And what I would say to the people of PNG is that we’ve got a very well-engineered system, we’ve used world leading practice,” he said. “We’ve brought in technologies from the mining industry and the deep water oil and gas industry that allow us to bring this material to the surface. Mr Rogers says they have consulted widely with both local communities and scientists about the likely impacts. Melanesian capitalism or capitalist Melanesia? I AM A GREAT FAN OF THE COLOUR GREY, as opposed to black and white, which some people maintain are not colours at all. This is another way of saying there are nuances to everything. Good people and bad people are not necessarily good or bad all the time; good people can do bad things and vice versa. So it is with social and political systems. There have been two recurring themes in the articled history of PNG Attitude; one is the relevance of the Westminster system of government to Papua New Guinea and the other is the appropriateness of the Melanesian Way in the modern state. Depending on the authors, these two states are often portrayed in simplistic terms as either good or bad. Occasionally writers also suggest that taking the good from either system and combining them together might be a good idea. This last suggestion has some merit and a lot of dangers. The old adage about throwing the baby out with the bath water comes to mind. What might appear to be good in one system can often turn out to have unimagined consequences. Also, what appears to be good to one person might be anathema to another. Take, for instance, our trusty old politician. The Westminster system with its basis in unbridled individualism and capitalism works well for him. It gives him opportunities to create personal wealth. If he tosses in a bit of the Melanesian Way it works even better; he can load whatever department he controls with malleable wantoks, spread largesse to his clan and gain huge amounts of prestige. On the other hand, the villager sitting on the banks of his polluted river surrounded by the stumps of what was once his forest and larder holding the carton of SP that his wantok politician has given him might view the intangible gains of the latter’s enhanced prestige somewhat ambivalently. So who should we blame for this corrupt politician? Capitalism and the Westminster system or the Melanesian Way? Clearly it is a bit of both. Maybe they both need to be replaced by something else. Or perhaps Papua New Guinea should decide which system it wants to adopt and drop the pretence of supporting the other. John Fowke has made a good case for what is wrong with the Melanesian Way. So has Susan Merrell. I don’t think either is advocating abandoning it altogether. It has some very highly redeeming features, not least the importance of community. So what about capitalism, is it as great as everyone seems to suggest? It certainly appears to deliver considerable material benefits, perhaps not across the board, but to a widening spectrum of society. Modern capitalism is basically a system whereby people sell things to each other. Sometimes these are things that people need but more often than not they are things that they don’t need; junk food, prodigious quantities of clothes, flash cars and electronic gadgets, for instance. Sometimes the things sold are intangible with no physical substance. HAVE YOU EVER BEEN to one of those annual general meetings where the time came for the committee to be elected – and no one wanted to be secretary, or treasurer, or anything very much? For me as a batsman with no need for any part of the bat than the edge, a fielder who magnetically attracted balls until they reached the hands and a bowler more suited to knitting, captaincy was the only way I could get a game of cricket. Well the same cannot be said about the first elections of the PNG Society of Writers, Editors and Publishers – which are being as keenly fought over as the recent PNG national elections. Every position is contested, including a mighty field of 13 for the three committee positions, and we already know one thing for certain – we are heading for a very talented and dynamic leadership group for the national literature body which, in future years, will administer the Crocodile Prize and related activities. The candidates for election are broadly representative of PNG’s geography, there is a good gender balance and a nice spread of age and professional capability. The election is being conducted in two parts. Members who have registered to attend the annual general meeting on Monday 10 September will cast their votes at the meeting. Those members who cannot attend the AGM have already been sent voting documents and will be able to cast their votes by email so long as they arrive by Sunday 2 September. FOREIGN JOURNALISTS HAVE BEEN BANNED from visiting Papua New Guinea’s Manus Island ‘‘until further notice’’. On 13 August, prime minister Julia Gillard announced Australia would start sending asylum seekers for processing on Christmas Island by the end of September, and Manus Island at a later date. Two days later, a Fairfax Media journalist and photographer submitted visa applications to visit PNG and Manus Island. Their applications were approved by the PNG prime minister’s office the next day. But it appears the applications stalled after being sent to the PNG Immigration and Citizenship Service. A spokeswoman wrote to Fairfax on Friday to advise that ‘‘we are unable to process your applications due to a ban being imposed by the Foreign Minister on issuance of visas to foreign media personnel until further notice’’. Foreign Minister Rimbink Pato defended the decision to Radio New Zealand International, saying the ban was temporary and would protect the country from misreporting, which could be ‘‘misinterpreted’’ by Papua New Guineans. “There’s no need for the access,’’ Mr Pato said. ‘‘PNG’s a culture where we discuss, negotiate and compromise. So we don’t want any misreporting, as a consequence of which issues could be misinterpreted by our own people as well as by the outside world. Fairfax Media has appealed for the matter to be urgently reconsidered. WITH THE 2012 SUMMER PARALYMPICS starting this week, Papua New Guinea's Paralympic delegation has arrived in London to support the two athletes who qualified for the Games, athletics competitor Francis Kompaon [pictured] and powerlifter Timothy Harabe. The Games are Kompaon's second, having competed at the 2008 Summer Paralympics where he earned his country's first Paralympic medal when he finished second in the 100 metre event. Harabe, only the tenth person ever to represent PNG at the Games, is making his Paralympic Games debut. The British High Commissioner to PNG, Jackie Barson MBE, wished both athletes well. "It is a fantastic achievement for PNG to be represented by two world class Paralympic athletes,” he said. PNG Paralympic Committee President Bernard Chan congratulated his country's athletes, saying, "They will be great ambassadors for PNG and I hope both Francis and Timothy will inspire other athletes to train hard." The 2012 Games will be the fourth time PNG has participated, with three other appearances in 1984, 2000 and 2008. Other members of the Papua New Guinea 2012 Paralympic delegation include PNG Paralympic Committee President Bernard Chan; Chef de Mission Dr Kefu Ma; team manager Rosemary Mawe; Davina Chan, the president's wife; coach William McKenny; and official Jeffrey Robby. Does Bougainville need its own regional ‘Rambo’ mission? DURING HIS VISIT TO AUSTRALIA last week, Solomon Islands prime minister Gordon Darcy Lilo stated that “the presence of RAMSI has been vital in allowing things to get back to normal in Solomon Islands”. The Regional Assistance Mission to Solomon Islands (RAMSI) is a partnership between the people and government of Solomon Islands and 15 countries of the Pacific. RAMSI arrived in Solomon Islands in July 2003 at the request of the government. Since then, much has been achieved and Solomon Islands is continuing on its path to recovery. Ensure the safety and security of Solomon Islands. Repair and reform the machinery of government, improve government accountability and improve the delivery of services in urban and provincial areas. Improve economic governance and strengthen the government’s financial systems. Help rebuild the economy and encourage sustainable broad-based growth. Build strong and peaceful communities. All these services are also desperately needed in the so-called ‘North Solomon’ region, the Autonomous Province of Bougainville and its surrounding islands. RAMSI is helping Solomon Islanders get their nation working and growing again. That will take years of hard work. Nothing will change unless Solomon Islanders want change and are willing to work hard in support of a common cause. It seems that RAMSI is quite successful in its work. While I believe that military presence as in the SI won’t be needed in Bougainville, the situation on the island sometimes reminds me a bit like the pre-RAMSI times in Solomon Islands. News like the plundering of Chinese shops in Buka, the arson of the three Rabaul Shipping vessels, roadblocks on the island and even stories about a self-proclaimed king who manages hisfraudulent financial business relations by satellite phone from his jungle camp are not really encouraging for foreign investors. But these investors are now urgently needed to build Bougainville’s economy in the way outlined by President John Momis recently. My hope is that all Bougainvilleans will be willing to learn from their Melanesian brothers in Honiara and that they will take into consideration some kind of Bougainvillean RAMSI support. This could perhaps be called ‘RAMBO’ (Regional Assistance Mission for Bougainville). It can bring the island forward towards a better future and perhaps even an important step nearer to independence. That the stakes are high is evidenced by the unprecedented attendance of the US Secretary of State. Hillary Clinton will be joined by a large Chinese delegation, underscoring the point that the region is geopolitically important. The challenge for the PIF is twofold. First, its place at the centre of regional architecture needs to be cemented in light of the drift towards alternative forms of regional and subregional cooperation. Second, it needs an organisational renovation to face the challenges of globalisation and development. Australia and other donors have long identified the PIF as the key institution for implementing development policies in the Pacific. This is the orthodox function of the PIF and one Australia and New Zealand have largely bankrolled for more than 40 years. More recently, the PIF has taken on a diplomatic role. This political role was compounded by the response to the 2006 coup in Fiji as the PIF became the central vehicle for legitimising the Australian-led sanctions regime. Six years of sanctions have not achieved their stated aims, in so far as Fiji has not returned to democracy. That said, Australia has reaffirmed its leadership to the other members of the PIF and to external powers and organisations such as the US, China, UN and EU. However, come 2014 when elections are held in Fiji the the rationale for sanctions will end. Fiji will presumably be welcomed back into the PIF and as such Australia and its supporters will be faced with much more challenging diplomacy. PAPUA NEW GUINEA’s new sports minister Justin Tkatchenko says the state of rugby league in the country is an absolute disaster and needs an overhaul. The annual meeting of the national rugby league federation was meant to have been held last November but infighting and court battles delayed proceedings, leaving the sport in a state of limbo. Mr Tkatchenko has met with the International Rugby League Federation and local officials in the past week to discuss a way forward. He says the game has turned into a legal fighting match and it’s the people of PNG who are suffering. “I think there’s some areas that we need to take control of this and one of those will be to introduce some legislation for the government to take control of the running of rugby league,” he said. The PNG government has injected K1 million into rugby league, which will primarily pay for next month’s clash against the Australian prime minister’s team. Tas Batieri from the Rugby League International Federation says the governing body is supportive of the PNG government’s plans. He says a lot needs to be done ahead of next year’s World Cup, such as drafting a new constitution. THE MINING TOWN OF TABUBIL is facing the closure of the nearby Ok Tedi mine with a brave new vision. Built to support the Ok Tedi mine, Tabubil is in many ways a model town for Papua New Guinea. In spite of its remote location in the misty Star Mountains, its roads and houses are well-maintained; it has reputable and well-resourced hospital, an international school and small international airport; its utilities are reliable, and security is rarely an issue. There’s even a golf course (although landslides adjust its fairways from time to time). But how is Tabubil and its 10,000-strong community to be sustained and flourish once its reason for being—the giant Ok Tedi mine—closes, either in 2015 or 2024? And what of the surrounding communities? About 80% of the workers in the villages surrounding Tabubil also derive their livelihood from the mine. This pressing question has been the subject of Tabubil Futures, a study commissioned by PNG Sustainable Development Program Ltd (PNGSDP) and Ok Tedi Mining Limited (OTML) to determine how the town will survive after the mine’s closure. Out of this study has arisen a range of strategic initiatives that will see Tabubil transformed from a mining town into a ‘sustainable mixed-economy college town,’ with a broader economic base and, eventually, its own municipal government. PAPUA NEW GUINEA’S STREET GANGS, or raskols, make the gangster claims of US rappers look ridiculous. A raskols idea of gang banging doesn’t involve bouncing on hydraulics in vintage Lincolns or wearing designer threads. These guys tote their own homemade weapons—from knives to guns. We had a quick chat about the raskols with photographer Stephen Dupont, who spent time in Port Moresby documenting them. First, what's your connection to Papua New Guinea? Dupont: Growing up in Australia, I'd often meet people who either lived in PNG or visited. The place always fascinated me—the stories, the wild, and the "heart of darkness" image it had. In the late 90s, I would regularly hang out with close friends in the Jayapura Room, a kind of war correspondents’ club, with photographers, filmmakers, journalists, professors, and an array of interesting people who all had a connection with PNG. What sort of thing would happen in the Jayapura Room? Our host was a fine man called Mark Worth, sadly not with us any more, who would hold dinners and all-night drinking parties where we would tell stories, debrief, and have the company of people we'd all connect with. Everyone in the group was either coming from or going to a breaking news story in some war zone. When was it that you first went over? My closest friend, Ben Bohane, had already spent time in PNG and we decided to go there together in 2004 to work on a project around raskols in Port Moresby. Not knowing what we'd find, we ended up spending a lot of time in a notorious settlement called Kaugere, where we found our Kips Kaboni gang. For those who don't know, could you sum up the situation in Papua New Guinea since independence from Australia in the 70s? PNG got independence from Australia in 1975 and has had various governments and leaders, most notably the recently deposed Michael Somare. Even though it's had a few military coups, constant tribal warfare, and a recently-ended bloody civil war in Bougainville, it's always managed to remain relatively stable. That possibly has something to do with having over 800 tribes scattered around many islands and remote territories. Port Moresby was ranked by The Economist as the most "unlivable" city in the world. How does that come across on a day-to-day basis? Port Moresby is always ranked in the bottom five of the world's most unlivable cities, just this year coming second to last behind Dhaka in Bangladesh. I'm not sure how they come up with those statistics, but it feels overrated to me. Yes, Moresby is a harsh and dangerous place, where security is the biggest business and unemployment is extremely high, but I can tell you that I've been in many more unlivable and dangerous places. I mean, Moresby is not Lagos, Mogadishu, or even Kabul. Like any big city, if you know the lay of the land, take precautions, and hang out with the right people, you can generally find yourself having good experiences there, like making friends with raskols so you can roam safely and freely in some of the city's worst neighbourhoods. SEVENTY YEARS AFTER THEY PARTICIPATED in a major World War II victory, Ted Bousen and a group of Australian diggers today returned to Milne Bay. The eight veterans aged between 88 and 93 were marking the anniversary of the battle of Milne Bay where, in 1942, Australian and US troops handed the Japanese their first land defeat of World War II. 167 Australians were killed during the battle. From the moment 22-year-old conscript Ted Bousen arrived in Milne Bay on 24 August 1942, he knew his young life was in jeopardy. The fact became clear shortly after landfall when the Chinese cargo ship on which he had arrived, MV Anshun, was flooded with searchlights and Japanese artillery shells began raining on him and his comrades. "There were about a half-dozen of us (on the wharf) and one of the shells landed right next to us," Mr Bousen, 92, told The Australian. "Incredibly, it was a dud -- it just made a big hole where it came down -- and that's why I'm able to speak to you today." The scuttled Anshun remained a feature of the bay throughout Mr Bousen's "horrific" six-month tour there. Mr Bousen, now of Brisbane, return to Papua New Guinea alongside seven other Australian veterans this week to mark the 70th anniversary of the Battle of Milne Bay, the first Allied land victory against Japan in World War II. The indefatigable Japanese war machine expected to conquer the Allied airfields at Milne Bay quickly and easily, deploying 2,800 marines against what it expected would be a group of Diggers numbering in the hundreds. But military intelligence gave Allied commanders the edge, letting them concentrate nearly 9,000 troops on defending the airbase, including from Mr Bousen's 61st Battalion. When the Japanese assault came on 31 August it was quickly repelled, and Australian Major General Cyril Clowes ordered a fierce counter-attack, including an air campaign with RAAF Kittyhawk fighter bombers. Only 1,318 of the 2,800 Japanese marines were evacuated safely. Historians estimate the rest were either killed by Allied forces or attempted the deadly overland trek to the Japanese base at Buna. Mr Bousen said he was ordered to perform a "clean-up", searching the retreat path for survivors and using petrol to incinerate the putrefying remains of slain Japanese. He said young people could have "no idea" of the horrors of war, unless they had gone themselves. "I also had a job at one stage of laying a minefield as a defensive measure. "But when we left, they wanted it dug up, and I was the man who knew where they were." Mr Bousen had marked the mines on a map, but it had been rendered useless by the fast-growing tropical vegetation. "There were no mine detectors back then, so I had to dig through the soil with a bayonet until I reached something hard," he said. "It was bloody shocking," Mr Bousen said of the experience. "I'm sorry to put it in that language, but it was." REPRESENTATIVES OF THE SPANISH canning industry have reaffirmed their concern over the increased use of Papua New Guinea canned tuna in Europe. "It was a serious mistake to allow tuna having fewer requirements to enter the European Union,” said the Jealsa Escurís chief executive, Jesus Escurís. “We do not want to stop competition but we want to have the same rules as others." Mr Escuris said some European entrepreneurs may consider manufacture products in PNG "not because they want to do so but for survival reasons." The expansion of Pacific tuna follows the agreement signed between the EU and PNG, which considers the release of tariffs on their exports to the EU market and of the rules of origin of the raw material, La Opinión reported. Meanwhile, the opening of the eighth canning plant in PNG is expected with capital from Thai and Filipino entrepreneurs. This factory is expected to exceed Galician and Spanish production of canned tuna in a few months. "The volume is such that it can be a really serious problem," the chief executive of one of the main canneries from Galicia said. "If the true intention [of PNG] had been to ensure the supply of certified origin tuna from PNG, it could have favoured the access of the EU fleet to this area and not that of our competitors such as the Philippines, Thailand, Taiwan and China." I CAN TELL YOU THE REASON for the story of declining services, declining prosperity and the declining well-being of the people of PNG. It’s very simple. As coined by a group of Papua New Guinean intellectuals many years ago, the problem is the Melanesian Way. There. It’s been said. The big, sacred pig which has loomed in the background, not named but recognised by many. The concept touted as a uniquely appropriate philosophy and rationale for social management. The real nature of the beast in modern-day PNG is not positive in today’s complex society. Tackle this elephant, PNG, or at least recognise it for all its facets, positive and negative. Of the latter there are many. Recognise it for the handicap it has become in the struggle for modernity and fair distribution of the nation’s wealth. Three decades of increasing puzzlement, critical editorials and irate declarations by political leaders will have been three wasted decades unless the whole experience is realistically appraised. That and an appropriate antidote developed to the wounds on the body of what is still a young nation. The Melanesian Way is the way of a fragmented multi-tribal society. It’s a Way which facilitated the existence of such societies whilst they remained divided, multi-lingual, local, warlike and competitive. In PNG’s case, this was a society that existed successfully and independently for tens of thousands of years. Within this society, land sufficient for the clan’s subsistence needs was the single and prime fact of life. The clan’s land must be protected and opportunistically extended. Without land and hunting and fishing resources sufficient to its needs, the clan or tribe was nothing. Such a condition would occur as the result of bad planning by leaders, inept political moves and physical weakness in battle. The result would be annihilation of the clan or tribe. The anger of ancestral spirits would haunt the remaining, fugitive remnants of the people, no matter that they might be absorbed into other clans sympathetic to them. It was the absolute end, and such an end was never to be contemplated. From when infants lay at their mother’s breast, they learned that, within the clan, all were brothers and sisters. Outside the clan, all were enemies. Within the clan was solidarity and trust. Outside the clan was the enemy. THE CROCODILE PRIZE was established in 2010 by PNG Attitude and the Post-Courier newspaper to encourage and publish Papua New Guinean writers and to provide opportunities for the people of PNG to read their own literature. It has developed rapidly since to become the nation’s major literary event – with this year’s prize attracting 600 entries from 150 writers, twice the number of 2011. In 2012 there are seven awards in the Crocodile Prize – each carrying prize money of K5,000 and a trophy for short stories, poetry, essays/journalism, heritage literature, women’s literature, student writing and a lifetime achievement award. But the Prize is more than a writing contest. It has given birth to the PNG Society of Writers, Editors and Publishers, whose 90 members in two weeks will elect a committee and take over the administration of the Prize and its associated activities. The Prize has also spawned an annual Anthology of the best PNG writing. This year’s book features prose and poetry from 66 of the 150 writers who entered the national contest. PNG Attitude is pleased to be able to here acknowledge all these authors and their creative works. For many of them, having their work appear in the Crocodile Prize Anthology 2012 will be the first time they have seen their words published. GOOD MORNING MEL [pictured]. I have great respect for you but not for Nautilus's experimental seabed mining. WHAT A LOT OF WELL-EDUCATED female members of the Evara family there are (see comments posted under Locals ‘know nothing’ about Purari scheme). And all with an interest in the very old proposal - recently revived - regarding damming the Purari at a point called Wabo. Here, variously, Comalco and later the Commonwealth Works Department maintained a stream-gauging station with the object of collating data before drafting an engineering plan for a dam and linked hydro-electricity generation. This was to be the power-source, via undersea cable, for an alumina smelter to be built near Weipa on Cape York. As we all know this eventuality never emerged and Weipa sends its alumina to Gladstone for smelting. The proposal was awakened from a long slumber in 2010. Assuming that the Evara girls are the grand-daughters of the late Evara Bai'i, a very grand old man of the Purari Delta ( but not of the Upper Purari watershed and proposed dam-site at Wabo), a real "big-man" in Koriki or coastal Purari society of the time, then they certainly are stakeholders in any discussion and outcome. Like their granddad, they are apparently outspoken and firm of purpose. But, ladies, and all others of the Purari Delta villages from Alele to Kaimari to Baimuru and Ipiko, let us not forget the alacrity with which quick-witted people leap onto timber-and-resource-related bandwagons for reasons of personal enrichment. All the people of the Purari Delta have a stake in any proposed enterprise involving the damming of the Purari, but the landowners of the dam-site and its catchment are the people known for the past 70 or 80 years as Pawaia. Let’s be clear on this. As to the effect and distribution of appropriate benefits, all the Purari people, coastal and inland, must share in them. Just let’s avoid confusion of the place of Pawaia, they being a very small linguistic and cultural group, numbering only a few hundred individuals. They have no ethnic, cultural or close historical links with the people of the lower, tidal delta rivers. Discussions of the purchase of timber-rights by the then-new Wame Sawmill - located across the river from today’s Kapuna Hospital (and now relocated and known as Baimuru Sawmilling Co.) - held in 1927 between Pawaia and I’ai or Old Iari people with the then Resident Magistrate from Kikori are relevant- and available to see- where any dispute over rights to land along the mid-to-upper part of the Purari is concerned. The clans from Uraru village above the Wabo site are the "owners" and it was at their invitation that the people of Wabo Village, which is diagonally opposite the old stream- gauging site, and on the mouth of Wabo Creek, came and settled there in 1960. THERE ARE SERIOUS QUESTIONS ABOUT the legitimacy of the exploratory and mining partnerships between Canada-based Morumbi Resources and five land ownerships companies in Bougainville. It is unclear from where these land ownership companies derive their authority, but it seems they have over-stepped their jurisdiction, with neither the Autonomous Bougainville Government nor the government of Papua New Guinea having sanctioned any exploratory or mining projects in Bougainville. Attention was drawn to Morumbi’s activities in Bougainville with last month’s appointment of Lindsay Semple as chief executive officer. Semple, an Australian national, has a colourful history in PNG and Bougainville, having previously brokered a 10-year logging deal on the mainland which is alleged to have lasted only a few months resulting in land owners and contractors not being paid what they were owed. Then, in 2008, Semple, acting for Invincible Resources, made facilitation payments of $8 million to President Joseph Kabui and the Autonomous Bougainville Government to secure a deal for 70% of Bougainville’s mineral resources. The late Joseph Kabui never took the deal to Bougainville’s parliament and as a result was facing a vote of no-confidence before his sudden death in June 2008. The deal was canned following Kabui’s death, but not before $200,000 had been spent by Kabui and another $1 million had been withdrawn by other unnamed persons. At the heart of the deal was Sam Kaouna, financial advisor to Kabui, who it seems saw it as his place to decide on the future mineral resources for Bougainville when he and Lindsay Semple created Invincible. Kauona told the ABC’s Steve Marshall in 2008: “Lindsay Semple, out of hundreds of interested investors that came into Bougainville, turns out to be that person, that special person, who is genuine, who is able to listen to the way people think. Perhaps unsurprisingly, four years on Kauona is again at the centre of affairs; this time as vice chairman and director of Isina Resource Holdings, one of the landowner groups that have made deals with Morumbi. WHAT HARRY TOPHAM AND PHIL FITZPATRICK saw of those Papuan gas shows is true and their comments [see Recent Comments] do sum up the situation. Others who are technically-qualified and experienced, and lay observers like me, have previously attested to the same thing. I was present in the area [where InterOil has claimed a major find] during the heyday of Australasian Petroleum Corp and its operations at Puri and elsewhere. The gas-flow at these holes was not large in quantity and was forced up by water-pressure within the porous strata it’s trapped in. If tapped, it is likely to run out quickly leaving a lot of angry investors with a lot of artesian water. This is why APC capped numerous holes in the headwaters of the Era, Kikori and Turama/Omati rivers in the late 'fifties thru to around 1961. All this has been well and truly looked at, going as far back as a major exploratory search across the mid-to-upper areas of the Purari, Era and Kikori rivers by Staniforth-Smith in 1908. This was soon followed by the likes of Papuan Apinaipi, Oil Search and the post-World War II BP/Vacuum (Mobil) - backed Australasian Petroleum Corp whose Catalina service - run by the alleged CIA subsidiary, Worldwide Airways - used to land three times a week at Kikori. One Catalina still rests there, holed and sunk on a sandbank below the station. The old prospectors in the late 19th century used to say "there's a lot of gold in New Guinea but there's a bloody big lot of New Guinea mixed with it." The same probably applies to oil and gas. Philips Petroleum searched and set sub-sea seismic charges off all across the Papuan Gulf in the early 'sixties, with shore-stations on Goaribari and Kiwai Islands, and others are now showing interest in areas in the Gulf and off Cape York, I hear. But they are concerned with gas, not oil. Many more episodes to follow in this story, one thinks. THE LOCAL PEOPLE living in communities all over Papua New Guinea are currently the victims of a national crime. Their land is being taken out from under them by foreign-owned companies to be deforested and logged. A new land planning process and set of policies needs to be implemented in order to create a balance of development to benefit the country, as well as justice for the local customary-landholders. Special Agricultural and Business Leases, or SABLs, are part of a leasing scheme that grants logging companies as well as other large corporations easy access to land that is rightfully owned by locals of PNG. SABLs and the companies using them are not required to receive the approval of the landowner before they take his or her land. A report from Greenpeace states that 75% of the leases are foreign-owned and that log exports grew almost 20% in 2011, with that rise in percentage being overwhelmingly attributed to the logging under SABLs. The world’s third largest tropical rainforest is located in PNG but with the logging and deforestation, half of it could be depleted by 2021. The destruction of the rainforest isn’t the only loss the people of PNG are facing. Their land is being turned over to the hands of powerful corporations to use however they please, without taking into consideration how their greedy actions will affect the communities of PNG. THE AUSTRALIAN GOVERNMENT is under pressure to reinstate funding for tuberculosis clinics in the Torres Strait islands and Papua New Guinea after warnings of an increase in medical refugees. Doctors warn a humanitarian crisis unfolding in PNG's Western Province is spreading to Queensland hospitals as more medical refugees seek treatment for drug-resistant tuberculosis, cholera, AIDS and leprosy. TWO PHILIPPINE TUNA COMPANIES have hooked up with Thailand’s Thai Union Corporation to establish Majestic Seafood in Papua New Guinea which will open in two months. The $37.6 million, 200-metric ton capacity canning plant, PNG’s largest, will bring to eight the number canneries in tuna-rich PNG. Thai Union is the world’s second largest tuna canner and Thailand is also the world’s largest canned tuna producer. PNG recently said it had overtaken the Philippines as the world’s second biggest producer of canned tuna. Majestic Seafoods will bring the total daily canned tuna production in PNG to more than 1,200 metric tons. The Philippines produces an average of 750 metric tons of canned tuna a day. Filipino tuna fishing companies began to establish operations in PNG in the late 1990s following declining tuna catches in Philippine waters. The first tuna canning plant opened in 1997. At the turn of the century, PNG began restricting tuna fishing within its territorial waters. Today, it only allows access to its fishing grounds if foreign companies set up canning and processing plants. PNG lies in the middle of the tuna migratory path that stretches from the Atlantic and Indian oceans and ends up in the Sulu Sea southwest of the Philippines. Meanwhile, the Deep Sea Mining Campaign says PNG’s fishing industry could be jeopardised by mining for gold and copper in the Bismarck Sea. The world’s first deep sea mining project, Nautilus Minerals’ Solwara 1, is poised to begin but is facing mounting opposition in coastal communities. IT IS EXPECTED that the final report of the Commission of Inquiry into Special Agricultural and Business Leases (SABLs) will shortly be tabled in Papua New Guinea’s national parliament, but no one yet knows what it will recommend, let alone whether Peter O’Neill’s new government will act on those recommendations. Indeed, one newly elected MP has caused a bit of a stir by calling for an end to all such inquiries on the grounds that they create a public perception of guilt and corruption without ever leading to any criminal prosecutions. In this particular case, the question is how it came to pass that more than 5 million hectares of customary land has been alienated in recent years through the grant of SABLs to landowner companies associated with some rather dubious ‘development partners’, most of whom appear to be logging companies seeking to exploit a loophole in the Forestry Act on the pretext of clearing native forests for large-scale agricultural projects that are unlikely to materialize (Filer 2011). At the end of July, Greenpeace published a report about this ‘land grab’ in an effort to persuade the PNG government that something had to be done about it. This prompted some Australian journalists to wonder what is likely to happen once the findings of the Inquiry have been tabled in Parliament. Although we do not yet know what these findings are, we already have access to many of the transcripts of the hearings conducted between August last year and January this year, and it is clear that the Commissioners were far from impressed with the transparency and legitimacy of the process by which so much land has been alienated from its customary owners. Of course, the PNG government is unlikely to take any sort of action simply because of demands made by an organization like Greenpeace or questions raised by a group of Australian journalists. But there is a broader range of stakeholders inside PNG who have been raising concerns about the potential consequences of this ‘land grab’ for more than three years now, and it was pressure from this coalition that persuaded the former Somare government to establish the Commission of Inquiry in the first place. Some members of this coalition are worried that public pressure from people readily identified as foreigners could be counter-productive because it may lead the PNG government to retreat into a defensive nationalist posture and hence reduce the likelihood of any action being taken to implement the Commission’s recommendations – even if any strong action is actually recommended. THE NEW GOVERNMENT of Papua New Guinea plans to "give priority support to ensure the delivery" of InterOil Corporation's Gulf LNG project during its current term, Governor General Sir Michael Ogio said when opening parliament yesterday. "In this regard the government will immediately establish a state negotiating team comprising of key agencies to negotiate a gas agreement with InterOil and its partners," Sir Michael said. "The team will work with Petromin, the state nominee to ensure that the best gas agreement is negotiated. Specific consideration will be given to increased benefits for landowners, local level governments and provincial governments." The new government will also ensure that the ExxonMobil-led LNG project is "delivered on time so that revenue flows will begin 2014," he said. "These two projects will underpin our economy for the next 40 years." Minister for Petroleum and Energy William Duma late last week agreed to suspend a notice of intent to terminate InterOil's December 2009 agreement for the development of its LNG project. The notice had been issued by Duma in May on the grounds that the project did not meet the requirements under the agreement that it be based on recognized technology and operated by a major company. Duma said that, since then, InterOil has held a number of constructive meetings with government departments, which are now scheduled to brief the prime minister and cabinet on the progress made. InterOil meanwhile is currently negotiating to bring a heavyweight partner into the project. MANY YEARS AGO the Western world, that is, Caucasian man, determined that the black man was not man at all. They believed that the darker race was not a race. The black man was a stage of evolution somewhere between the apes and Caucasian man. Therefore the black man, not being fully evolved, was not fully human. And therefore not entitled to the rights understood to be due to human beings. The black man was a different species. And so the black men were treated them as slaves. The black man was an animal, a living tool. They were patronized; not believed to be capable of anything the white men were capable of - even of independent thought. And the whites believed they could justify that perception with arguments from science and religion. But whichever angle they spun it, they were wrong. It is ironic that people who thought themselves the benchmark of the human race allowed such fantasies in their minds. And they couldn't shake them off, no matter how much reading and thinking they did, or how educated they got. Ironic still is the fact that even to this day some of them think that way. For people who believe in everything being explained by science, they fail to note that their theory of a non-human-savage is unsupported by science. Every indication—biological, psychological, emotional, social, existential and through history—shows that the "savage" is every bit as human as the Caucasian. Racism is a natural outworking of belief in evolution. It is not only plausible, but justifiable if evolution is held as the process by which mankind is formed. Evolution espouses a stage-by-stage process. And as in any production process, the final product is far more advanced than its preceding stages. As such it's logical to argue that a darker-skinned man has not yet reached the stage of production that the white man has, and is therefore less advanced than the white man. Therefore he is not entitled to “human rights” the way the white human is. It’s a bit difficult for those who believe in evolution to reject racism: yet they must import some idea (from the air) that all man are equal in order to be socially acceptable. THIS COMING FRIDAY NIGHT nominations will close for positions on the committee of the PNG Society of Writers, Editors and Publishers. There are the usual offices of president, vice-president, secretary and treasurer as well as three committee positions. From the large number of nominations so far, it’s clear there will be a competitive vote for each position between some very talented candidates. It was about a year ago that our minds turned to establishing an association of writers in Papua New Guinea which would, within a short period of time, take over the administration of the Crocodile Prize and its many related activities. The reasoning was straightforward – while it was certainly possible for Phil Fitzpatrick and me to continue running the Prize from Australia, it was not feasible that it could become a sustainable part of PNG’s literary culture so long as we did so. So, late last year, the Society was incorporated, drew up a constitution and began to seek members, of which it now has 80. Soon after, it began publishing a monthly newsletter and now it is ready to elect its own national leadership. An interim committee of Amanda Donigi, Ruth Moiam, Jimmy Drekore, David Kitchnoge, Phil and me has been administering the Society and the Prize in the meantime. There are 60 full members of the Society, that is, Papua New Guinean citizens, from whom the president and other officers will be elected in a vote that will conclude at the inaugural annual general meeting late on the afternoon of Monday 10 September. Members not in a position to attend the meeting will be able to vote by email. That said, we expect up to 30 members to be at the Australian High Commission in Waigani for the AGM. Early next week, when all the nominations are in, we’ll let you know who’s standing for election and something about who they are. And if you want to join the Society (free for Papua New Guinean citizens, $50 for others), email me here and I’ll send you an application form. IS THERE A DEMOCRATIC PAPUA NEW GUINEAN NATION - or is it merely an arbitrary state built on a shaky, crumbling foundation of disparate traditional customs and the 'Melanesian Way'? Has the system of government become a hybrid of concepts that fail to work on any level – a bastardization of both democracy and custom? Bernard Narokobi in his book The Melanesian Way refused to define the concept. Those posing the question were characterised as "cynics" and "hypocrites". displaying "spiteful arrogance.". According to Narokobi, the concept of the ‘Melanesian Way’ is "cosmic", making a definition "futile" and "trite." He didn't explain how so. If Moses didn't ask God to define himself then the messianic Narokobi should not be required to define the Melanesian Way - notwithstanding that he was writing a book about it, making one wonder what the rest of the book is about. The idea of belonging to the 'insider' group that carries the knowledge of the Melanesian Way is so emotionally charged and identity-defining that it usually provokes wide-eyed head nodding – but no conceptual challenge. Yet concepts only defy explanation when they are not widely understood. Given the nebulous nature of the 'Melanesian Way', it has become an exploitable idea. The reconciliation proved tenuous when, despite their Memorandum of Understanding going into the elections, O'Neill froze out Namah, relegating him and his party to the opposition benches while preferring to rekindle old alliances with the Grand Chief and other veteran power brokers. It suggests that the Melanesian Way is redolent with self-serving pragmatism and a fickle approach to commitment that can be called upon, or not, according to whim. If Namah thought the Melanesian Way was going to work for him as he bad-mouthed his former coalition partner, he seriously miscalculated. This was western-style politics. 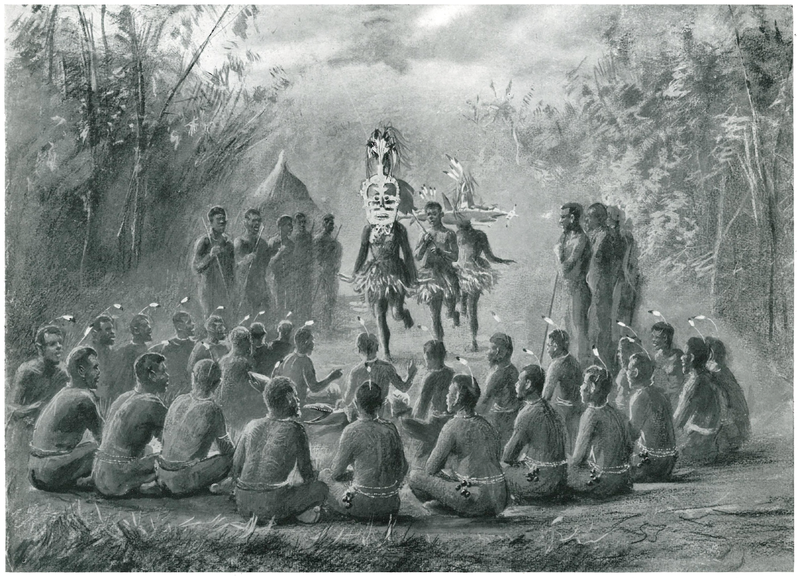 The customary practices of the Big Man and the wantok system worked well in a small, encapsulated tribal community – but it doesn't translate into the modern political structure of a nation/state where favouring of wantoks is nepotism and arbitrary distribution of largesse in return for allegiance is bribery. When these customary practices are tolerated within the modern PNG machinery of government, compliance with democratic principles becomes populist lip service. Introduced, western principles and PNG cultural practices co-exist uncomfortably. The Christian religion, for instance, missionary imposed, it is now widely embraced. To be faithful to both social systems requires a series of compromises that either makes a mockery of Christian doctrines or insults the integrity of custom. Fashioned along the line of the Jewish faith, the Seventh-Day Adventist Church, for example, forbids the consumption of pork and shellfish. But pork is the ceremonial meat, and shellfish are a staple part of the diet of those that live on the coast and outlying islands of PNG. In PNG’s social media site 'Sharp Talk', there has been a lengthy conversation trying to reconcile Christianity with tradition by seeking a biblical justification for the customary practise of polygamy. Although PNG has laws against adultery, polygamy is tolerated. But is polygamy just another name for adultery? Does the law (based on Christian ethics) or custom take precedence in PNG, or does that depend on the perpetrator? At independence, PNG was also left with a political legacy that was alien and ill-understood and often at loggerheads with custom. ALFRED CORT HADDON is a little-recognised pioneer amongst those anthropologists and ethnologists who have made a name for themselves by their work in Papua New Guinea, some of them by exploiting the local people. Not so Haddon. Born in 1855 and living until 1940, he was one of the first to recognise that indigenous cultures were being destroyed by white colonial influence, particularly of the religious kind, and that traditional beliefs, art, history and culture needed to be documented and examples preserved before they disappeared forever. He also believed firmly in the principle that all cultures are of equal merit and are capable of sublime artistic, religious and symbolic creation. Haddon pioneered the use of technology, combining some of the earliest use of movie film (at the time ‘silent’) with wax-cylinder recordings, which can be synchronised to produce sound films of performances which can still be viewed after 114 years old. He worked for some years in both Papua and New Guinea, but is perhaps best known for his Torres Strait Expedition of 1898. He arrived to find an amazingly rich culture of rituals, beliefs, dances, art and music which was at that very time being threatened by the invasion of missionaries. He was particularly scathing about the over-zealous work of the London Missionary Society, which he found had, on some islands, rounded up all the masks, carvings, costumes and art it could lay its hands on and burned them as 'works of the devil'. Haddon sought to preserve as much as he could through film, sound recordings and collection of local art works - for which he insisted on paying a fair price agreeable to the owner. Many of his several thousand items collected can now be seen in the Cambridge University Museum of Archaeology and Anthropology and the British Museum. Some of his film and sound recordings can be seen and heard at the National Film and Sound Archive in Canberra. Haddon was recently the subject of a program Hidden Treasures on the ABC. Presenter Griff Rhys Jones walked in Haddon's footsteps through the Torres Strait to rediscover the meaning of a magical and mysterious mask he saw in the Cambridge Museum. It was a great program, neither patronising nor sensational, deriving much of its appeal from it's simple ploy of letting the local artists and people do the explaining, augmented by Griff's sensitive and amusing commentary. Watch it on ABC iView while you can (http://www.abc.net.au/iview/#/program/25516). INTEROIL IS A VERY CONTROVERSIAL oil and gas company. Lately, there has been a lot of excitement about the company reaching a potential deal with a major partner to operate it's Papua New Guinea gas wells. However, I continue to believe that a major operator will never sign with IOC. So much recent damage has come to the company, such as reports it's refusing to show Royal Shell its well data, liquidity problems, and news that George Soros liquidated his position, that it won't be able to recover. I have recently done a lot of research on the company and have dug up some interesting information from various sources. Some of these are experts in the field of oil and gas exploration, others are experienced investment analysts. I am sharing some of what I learned. InterOil's CEO, Phil Mulacek, claims that InterOil and Royal Dutch Shell are in negotiations over making Shell the operator of InterOil's Elk-Antelope gas fields in PNG. Royal Shell's CFO, Simon Henry, also claims that they have had discussions over "quite some period of time." However, now things don't seem quite right. Mr. Henry is quoted as saying: "At the end of the day we haven't been in the data room and we're not in an ongoing discussion. It's very difficult to have an interest in the asset that the license holder (InterOil) doesn't want to talk to you (Shell) about." There is strong evidence that the wells don't have the gas that IOC claims. First off, the company still has not done an SEC-compliant resource estimate. This is after three years of discovering the Antelope-1 and Antelope-2 wells in 2009, and four years of discovering the Elk-4 well in 2008. Instead, the company got an independent resource estimate from Candian firm GLJ. Secondly, IOC has been drilling in an area of PNG around the Puri Creek that has been known to contain hydrocarbons. Companies have tried to drill in this area for decades, but to no avail. If IOC had really managed to find significant oil or gas in this geography, then it will be the first company in history to have been commercially successful. Here is a newspaper article of a partnership between BP and a company called Vacuum Oil from 1958, which initially looked like the company had stumbled upon quite an oil well. You can see that this well was also in Puri Creek and it had generated quite a bit of excitement in the stock (some things don't ever change). But then, as shown in this article, it was found that the first great oil flow was never found again. The rest of the well was just water-bearing. PELES RICE LTD WAS ESTABLISHED IN BOUGAINVILLE to import, fortify, pack and distribute Sunlong quality rice at the same price or less than competitive brands. The company is the brainchild of Tim Ashton, an Australian farmer, developer and human rights activist – which I agree with you is an unusual combination. It’s also run by an impressive board of directors, which includes chairman Simon Pentanu (former chief ombudsman of PNG and chief administrator of Bougainville), Stan Basiou (chairman of Kalang Advertising and adviser to the Bougainville government), Albert Kinani (managing director of South Bougainville Engineering) and Lawrence Mattau (director of Bougainville Veterans Holdings). The general manager is Peter Tareasi, former group accountant of John Lysaght PNG Limited group of companies and current government and landowners liaison manager. with the Bougainville Islands Group. Peles Rice is a commercial company (that is, it seeks to make a profit) with a strong social motive – to establish in Bougainville an industry that will make available a staple product at a highly competitive price. The PNG rice market is currently controlled by Trukai Industries, an expatriate owned monopoly with over 95% of the market. By the time this rice reaches Bougainville, it is very expensive. Peles Rice will be able to cut costs by acting as its own wholesaler selling direct to stores, cutting out the middleman so to speak. It’s a great idea for a region of PNG that’s been doing things tough. But, as diligent readers will recall, there is a major problem. While Peles gas secured some solid investment to date, it still requires another K550,000 ($250,000) to actually get going. So the company is looking for additional investors or loans. PNG financial institutions have clammed up on lending to Bougainville, and Peles Rice is a victim of this. Perhaps there’s a feeling there’s too much risk involved, but, as Tim Ashton says, Bougainville is open for business and the north is probably one of the most peaceful regions of PNG. Initially, Peles Rice will service the northern centre of Buka as far south as Wakunai from a proposed factory and distribution centre in Buka. Production and distribution from places further south such as Arawa and Buin will not take place until the directors are comfortable with the security situation, especially in relation to the large amounts of cash that the business can generate. For further information on this project, contact Tim Ashton at tim_ashton@bigpond.com. DURING WORLD WAR II, 12 Anglicans working in Papua New Guinea lost their lives and this year marks the 70th anniversary of their deaths. The Anglican martyrs were Lilla Lashmar (teacher), Margery Brenchley (nurse), John Duffill (builder), Bernard Moore (priest), Mavis Parkinson (teacher), May Hayman (nurse), Vivian Redlich (priest), Lucian Tapiedi (evangelist and teacher), John Barge (priest), Henry Matthews (priest), Henry Holland (priest) and Leslie Gariardi (evangelist and teacher). These brave people are remembered and celebrated each Martyrs’ Day on 2 September and this year the Anglican Board of Mission has launched a campaign to continue its work in PNG. The focus is on St Margaret’s Hospital in Ono Bay, north-east of Port Moresby. In recent years, ABM has been working with the Anglican Church in PNG to upgrade St Margaret’s Health Clinic to a Level 5 hospital. The hospital will now operate as a satellite hospital to the state-run Popondetta General Hospital while recruiting staff and improving skills. There have been setbacks due to weather, sporadic riots, flooding and a lack of skilled professionals. Despite this, the staff of St Margaret’s continue to provide services. For St Margaret’s to be fully operational and staffed, the Anglican Church of PNG will need to build 13 new houses over the next three years at a total cost of $780,000. The houses will be sourced in PNG and built by local people. ABM encourages its supporters to remember the martyrs in prayer and contribute to the work of the Anglican Church in PNG through the Martyrs’ Day Campaign. You can donate online at www.donations.abmission.org. Meanwhile, the Summer Institute of Linguistics has produced a new version of the Bible in the Marik language, spoken by several thousand people in the Madang region. Translators had to learn the language, develop an alphabet and then teach the Marik people to read the language before beginning the translation process. The translation took 36 years to complete. SIL director Tim Lithgow said the translation developed an alphabet based on roman numerals to align with other major languages spoken in the region such as English and Tok Pisin. Mr Lithgow said there is still more language development work to do in PNG. "A growing problem in PNG is age, so part of the task we've done in community development is translating age booklets into local languages," he said. AS PART OF A UNIVERSITY OF SYDNEY research agreement with the PNG Office of Urbanisation based in Port Moresby, earlier this year I was invited to participate in a ceremony in the Wahgi Valley, PNG Highlands. At the ceremony, held in Minj some 60 kilometres south-east of Mount Hagan, prime minister Peter O'Neill launched PNG's national urbanisation policy. He also declared the new Jiwaka Province. The ceremony was attended by 20,000 people, including not only villagers from the beautiful Wahgi but others who had travelled up to 300 kilometres to show support for the creation of the new province and the urbanisation pilot project. People came from as far as Mendi, many arriving in mini buses with the words 'urbanisation power' and 'jiwaka mendi urban power' scrawled in mud on their sides. The villagers came in full traditional ceremonial dress, showing strength in numbers and reaffirming their clan and tribal identity. In PNG 97% of land is customary. It's governed by different and much more complex law (often unwritten and unrecorded) than formal state laws. Customary, unwritten law can prevail over written, formal state legislation. As towns and cities grow, they are encroaching onto customary land occupied by landholders. This complicates a state-centred approaches to planning. Building support amongst customary land-holders is a key approach of the policy. Under the new policy the PNG government will build on a series of pilot settlements to demonstrate how effective long-term planning is beneficial for the people of PNG. Presently the Office of Urbanisation has three pilot projects underway, one on state lands and two on customary lands. A key reason for holding the launch at Minj was that one of the pilot projects was located there. The place was once a thriving rural service centre during the colonial days of the 1960s and 1970s (including having its own airport). It subsequently fell into decline as services were withdrawn and relocated to other towns. However, as part of a push to rejuvenate centres in both the urban and rural setting in PNG, albeit on a small scale, Minj is being regenerated. New and upgraded roads, water supply, power and land for housing are now being rolled out with the support of an enthusiastic local committee of 300 plus members. Memories of what Minj was once like lives strongly in the minds of the Minj and Jiwaka people, hence their unprecedented support for local improvements. With Minj located on state lands, the task of planning and implementing a pilot project in this location is less complex than the pilot projects underway in the major growing urban centres of Port Moresby and Goroka. The Office of Urbanisation is hoping for increased support from development partners, both local and international, to implement the new policy and improve the urban conditions of towns and centres in both urban and rural areas. FOR LONG-TIME EXPAT Australian Lindsay Semple, who has been kicking around Bougainville for a few years now, it was the deal of a lifetime. Semple had allegedly paid $9 million to the Bougainville President, Joseph Kabui, to win exploration access to 70% of Bougainville, but Kabui's death in 2008 derailed this. Recently, Semple claims he cut another deal with the Autonomous Bougainville Government, which he has backed into a Canadian-listed minnow, Morumbi Resources, where he has been appointed the executive. But the Bougainville government says otherwise. Welcome to the world of doing business in Papua New Guinea, where fact and fiction can sometimes seem to merge. Notwithstanding Semple's manoeuvring, Bougainville Copper has been making solid, if quiet, progress to resurrect its long-idle Panguna copper mine, while across the country work is moving ahead on the Mount Kare gold deposit. This was found by CRA, a Rio Tinto forerunner, in the late 1980s when the then exploration manager discovered a gold nugget while digging the toilet for an exploration camp in the highlands. That find triggered a gold rush by the local villagers in early 1988, which ultimately forced CRA to abandon the area as the locals ran riot. Exploration work has proceeded in fits and starts since and, while there is little doubt about the economics of the gold deposit, the key is winning - and sustaining - the support of warring local villagers for a mine. There is an unusual symbiosis between Mount Kare and the Bougainville copper mine, since it was also in 1988 that Bougainville Copper, which is also controlled by Rio, suffered the first of a series of explosions that led to the closure of what was then one of the largest copper mines in the world. Those explosions, of the power pylons leading to the mine, were the start of the insurrection that led to the mine closure by mid-1989. For Stephen Promnitz, formerly with Kingsgate Consolidated and who now runs Indochine Mining, which is trying to develop the Mount Kare deposit, PNG presents few new challenges since he cut his teeth as a geologist at Mount Kare. ''With the newly elected government, PNG is in a de-risking phase,'' Promnitz said of the political risk in the country, after the recent changes in Port Moresby. Indochine is finalising its pre-feasibility study for a prospective $120 to $150 million mine project and has hired a Melanesian Fijian, George Niumataiwalu, to help win over local landowners. A STRONG RUGBY UNION CULTURE was well established in PNG prior to Independence in 1975 with the Australian Army well represented in local and area teams as well as in coaching and referee roles. It is generally believed that rugby football came to Australia and New Zealand from the early 1880s, as elite young men returned from studying at English public schools. By the beginning of the 20th century, the game had spread beyond the British Empire and gained acceptance worldwide. Following World War I, a five nations competition commenced. In the southern hemisphere, the New Zealand Governor-General, Lord Bledisloe, donated a trophy for matches between Australia and New Zealand. Soon after, Fiji, Tonga and Samoa embraced the game. Following World War II, the five nations competition resumed with France joining a newly constituted game with revised rules. With such international interest in rugby, and the game played in schools, universities and military establishments worldwide, it was no surprise that the game was eventually imported into PNG. Initially it was played by expatriates based in the armed services but local players soon found themselves drafted into the game. As time went by and the expats went home, so the game became nationalised. Competitions between rival services spread through PNG and, at some stage, a Commander’s Cup competition was established. So it was that in August last year, six Papua New Guinea Defence Force rugby union teams competed in the Commander’s Cup – still going strong - with more than 200 soldiers and servicemen taking to the field at Goldie River. The teams were from first battalion Taurama Barracks, second battalion Moem Barracks, Lae’s Igam Barracks made up predominately of engineers, Murray Barracks headquarters and support battalion, a maritime team of naval officers, and a Goldie/Air Transport Squadron XV. The road from Port Moresby to Goldie River is hard, rutted and unforgiving, the occasional crater threatening to engulf even the local community bus. The dust is like fine talcum powder. When we arrive, the Goldie River training ground displays brilliant green grass and a playing surface as hard as a rock: excellent for running and kicking, but woe betide the person who is tackled. Limbs ache and bones crunch as they experience the granite like surface. 1RPIR vs. Navy. The game ebbs and flows. Scores remain locked for most of the match. Spectators talk amongst themselves or purchase items of food from the myriad of stalls selling drinks, fruit and other small items. A friendly atmosphere prevails. Groups barrack for their respective teams. Occasionally self-appointed cheer leaders burst from the crowd to chant spirited war cries urging their teams on. Meanwhile players have one eye on the ball and the other on the rock like ground, so much so that the attacking or defensive formations often break apart and the ball dribbles aimlessly in no particular direction. IN THE LATE 1960s the aid post orderly at Olimola, on the border of Enga and East Sepik, had a nice little scam going. With the collusion of the local luluai and tultul, he arranged for certain men in the surrounding hamlets to be illegally arrested for various misdemeanours related to village hygiene, failing to build latrines, leaving rubbish around, that sort of thing. With the men out of the way the wily orderly then set about seducing their wives. When the members of the Kenea hamlet objected to this treatment they were beaten up by the luluai and tultul and some of their houses were burnt down. After one such beating a man died from his injuries. The Kenea had only come into contact with the administration in 1961 and, because of their lack of sophistication, assumed that this sort of treatment was normal. With increasing threats from the orderly and his cohorts to bring the wrath of the kiap down on their heads, they decided to do what their ancestors had always done when threatened by a stronger group. They packed their belongings and fled. They walked north down the Maramuni River. When they got to the foothills and the river mouth, they turned south along the Yuat River and found a suitable site for a new village. They built new houses, established gardens and set up rest houses for the kiap and his police. Then they waited. It took a while for Assistant District Officer Jon Bartlett, patrolling out of Angoram, to find them. In the meantime they made contact with the river people at Asangamut. The Asangamuts greeted the Kenea in a friendly fashion and helped them build canoes and showed them how to use them. Some of the Asangamuts even walked the six hours south and moved to the new village. The Kenea are closely related to the Enga and are typical highlanders with a social system based on patrilineal clans. The men stand up and make speeches at village meetings. The Asangamuts are lowland people with a complex matrilineal social system. The men whisper to each other and decisions are made out of sight. Despite these cultural differences the two groups settled happily together in the village which became known as Yerem. When Jon Bartlett found Yerem, he wrote to his counterparts in the Western Highlands, which included Enga in those days, and advised them he had located an errant bunch of their people and what did they want to do about it. He suggested that it might be prudent to administer them from East Sepik. The District Commissioner in Mount Hagen didn’t bother to reply and, as things are wont to happen, Jon moved on to another posting and the little settlement at Yerem was forgotten. IN JANUARY THIS YEAR, in my home area of Panguna’s Tumpusiong Valley, a group of Bougainvillean students from the University of Papua New Guinea, with backing of officials of the Autonomous Bougainville Government, executed an awareness program on current issues such as autonomy and education. Later talk spread throughout the valley that these future leaders of Bougainville had some difficulty answering the village people’s questions. Some of the students frankly stated they had no idea how to respond to questions. Others, in responding to questions, showed the villagers they were not aware of the issues affecting the valley. Another of these students angered the people by stating that ‘when we graduate, we don’t feel like returning to Bougainville because pay rates are too low’. Gossip in the valley also had it that the team was very much into drinking (a friend of mine from Muguai told me he was touring with them because they provided free beer). Sad to say, but alcohol is now a problem in Bougainville. It was also said of the team that many were lovers courting each other and not touring for the good of Bougainville’s 15,000 lost lives in the civil war. As I write this, I am reflecting on the words of Francis M Deng, who wrote in 1997: “Deprive a people of their ethnicity, their culture, and you deprive them of their sense of direction or purpose”. I believe we are suffering under this curse. Maybe we’ve forgotten that there is a place in the Solomon Sea called Bougainville. Maybe there was not a crisis we failed to contain politically which turned into a civil war costing the lives of thousands of our brothers and sisters. If you think that the terrible conflict was instigated by me, a Panguna fellow, you ought to change that mentality. Bougainville colonialism created a crisis in the hearts and minds of our elders and we inherited this. The seeds of conflict were sown long before hostilities broke out. Panguna’s icons of secession, the late Francis Ona and the late Joseph Kabui, were not there when John Teosin began the Hahalis Welfare Society. They were not present in demonstrations in Kieta and Arawa by Napidakoe Navitu led by the late Sir Paul Lapun. They were not there on the mission led by current President John Momis in the mid-1970s which went to the UN in New York campaigning for Bougainville independence. They weren’t there, but they were children who grew up in that aura of conflict. Be that as it may, Bougainville is now our common problem. The old people originally involved in the protests against our Papua New Guinean masters did not carry the freedom campaign in their hearts, so, when finer economic pastures sprouted, they forgot their fight and sucked on PNG’s breasts. ONLY FIVE MINUTES FROM ELA BEACH and in view of many of the luxurious expatriate apartments on the peak above the Port Moresby CBD is the settlement of Koki, tucked in behind the public motor vehicle interchange and the famous markets. The markets are supplied by local entrepreneurs some of whom work gardens on the few unsettled and undeveloped areas of the steep hillsides over looking Fairfax harbour. Those with gardens sell primarily sweet potato and taro, with other vendors selling bananas, coconut, fish and mud crab. We Australians and other foreigners are strongly advised not to venture into such areas without security, but it is here one meets the real face of Papua New Guinea and, like people the world over, the friendship and generosity offered from people who, by western standards have nothing, is humbling. Within Koki settlement, there is a mixture of the original inhabitants and those who have left their villages and come to the city seeking jobs and the good life. The despair of these immigrants from the highlands and elsewhere is palpable and the feeling for outsiders is fraught. A 20-minute ride by PMV to the outskirts of Port Moresby is the village of Vabukori. This is an original settlement, whose inhabitants have lived there for centuries. Historically, like most of the coastal communities of the region, they were raided by the tribespeople of the hinterland who would come down to steal women to marry and work their gardens. So, for protection, the Vabukori people built their homes on stilts over the sea, thus protecting themselves from raids. Since independence, life in Vabukori has been on a downwards spiral as corruption, incompetent governance and migration from the highlands has reduced services and increased competition for the few jobs available. By 2005 with unemployment hovering at around 85%, school attendances plummeting and youth resorting to hombru (homemade alcohol) and marijuana, the traditional chiefs and elders took the future of their people into their own hands. Lacking the capacity to create employment they organised team sport. Vabukori became the Pacific powerhouse volleyball team and in 2009 won the gold medal at the Arafura Games. Despite unemployment still at 85%, the result has been spectacular. Community pride has returned, substance abuse is unheard of and school attendance is at an all time high. Within Melanesian society the position of chief is not hereditary; they are selected by the existing chiefs and elders for their wisdom and ability to take the community forward. The lesson to be learnt from this is that the position of traditional chiefs and elders within these societies must be supported, especially in law, because it is within these traditions that lie the strong social fabric which has the capacity to carry these people forward. Ask any of the old people who remember colonial times and they will tell you Australia was a good colonial power; but the people have been very let down by the process of decolonisation which placed too much emphasis on forcing a Westminster system of government and paid too little attention to their traditional customs. Rather abiding their time; patience. A victory over them spells doom. TIM ASHTON [right] WAS RAISED on the plains of central NSW and developed a love of rural life and people and, through his family, a strong belief in social equity and justice. In 2005, he happened to be introduced to the charismatic President Joseph Kabui of Bougainville, got on well with him and was invited to visit the autonomous province to assist in any way he could. Ashton took up the offer and, when he arrived in Bougainville, was assigned by Kabui to review foreign entities seeking to gain an early foothold in Bougainville following the tragic civil war. Ashton decided to start by looking at an outfit called Invincible, purportedly a Canadian resources company. “I provided Kabui with a report on Invincible,” Ashton says, “in which I found very strong circumstantial evidence that it was at best opportunist, even fly-by-night…. Ashton was alarmed about the deal Kabui’s new Bougainville government might be about to do with a company that lacked transparency and had such obscure associations. Ashton submitted his report – “which was received rather coolly” - to later find out that Invincible had funded President Kabui’s election by a reported $US2 million. He was disappointed but undeterred. Ashton began to establish a joint venture with some Bougainvillean investors to import quality rice to be fortified, packed and distributed within Bougainville, providing a solid local industry and providing good returns. The competitive advantage of the business was that it would sell wholesale directly from the factory; which no other company could do. The Bougainville end of the project was relatively easy once Ashton gained the trust of potential investors. He says: “The business model is predicated around raising trade finance of K550,000 for nine months, secured against government title land with buildings and plant to the value of approx K1.2M.”. OK, good, productive idea. Not a great capital cost. Socially and economically desirable in a province struggling to reassert itself. So what’s the problem? “It revolves around what appears to be an unofficial embargo on providing credit to Bougainville by finance institutions based in Port Moresby,” Ashton explains. “The National Development Bank gave conditional approval, the condition being that we provide security outside Bougainville. “We had investors in the province, but this condition really raised the bar. And on such a modest investment, too. Ashton is puzzled at this negative response, which he equates to an embargo. “Bougainville is a far safer environment than Moresby, Lae or the Highlands. Expats and nationals walk everywhere, even at night, through Buka, Arawa and Buin,” he observes. So there’s a potentially profitable, viable, eminently socially desirable project ready to go in Bougainville – but it lacks what is basically short term trade finance to fire it up. AGRICULTURE PROVIDES A LIVELIHOOD to the majority of the population in Papua New Guinea. However, the loss and waste of an estimated half of all fresh produce between harvesting and marketing is threatening improvements to food security and local incomes. Yer Kirul, a fresh produce grower and vendor at Gordon's food market in Port Moresby told IPS, "We sell our produce, but not always all of it. What isn't sold is either given to street vendors at the end of the day or thrown away. There is a lot of waste." Kirul does not have access to storage facilities for his perishable fruit and vegetables in the year-round heat and humidity. According to a survey by the Fresh Produce Development Agency (FDPA), which is working to develop a sustainable commercial food industry, only 13% of farmers in nearby Central Province had sold produce to buyers with cool-room facilities. "We also need better marketing," Kirul said. "People are buying small quantities. We would like to sell larger quantities to buyers." The FPDA reports that up to 50% of food produced in PNG is lost in the post-harvest phase. The agency says quality is a critical issue, with a significant proportion of fresh food not meeting the standards of large buyers and wholesalers, often resulting in produce being sold at negligible prices or thrown away. Nalau Bingeding, Research Fellow at the National Research Institute, told IPS, "Poor roads and transport infrastructure are a big issue in regard to post-harvest selling in PNG. A lot of garden food is produced in rural areas, but due to lack of roads and markets for the produce the food is either wasted or fed to livestock." In rural and peri-urban areas, small farmers cultivating a range of crops including potatoes, broccoli, carrots, tomatoes, taros, yams, mangoes and pawpaws are often both the growers and marketers. In 2008, the FPDA conducted a socio-economic study of 175 male and 160 female farmers, with an average age of 39 years, from six provinces. It revealed that 73% believed the most significant issue in selling their yield was difficult transport and road conditions, 43% identified oversupply conditions associated with low market capacity, 22% named low prices and 21% cited waste.